Anyone hearing The Party’s Over in 1982 might not have seen it coming, but Talk Talk’s Mark Hollis was a rare thing in pop music: a genuine original. 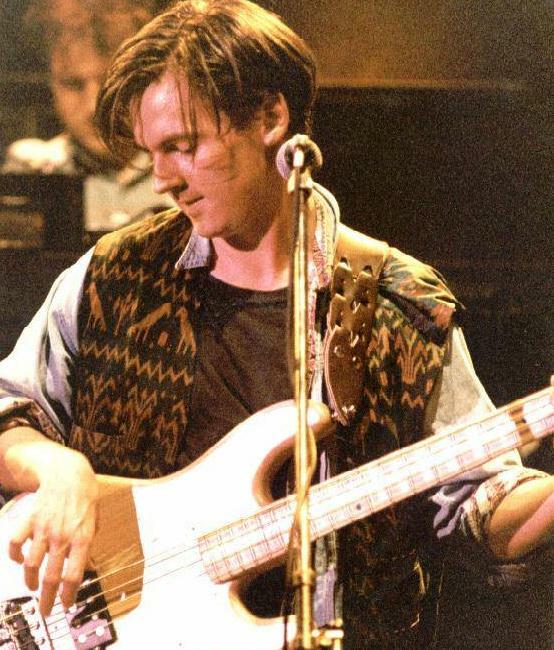 Over the course of five albums, from The Party’s Over to 1991’s Laughing Stock, he guided Talk Talk’s evolution from Duran-aping synth-pop B-leaguers to avant-garde experimentalists. Mark Hollis passed away on Monday at the age of 64 after a short illness. Tributes poured in from musicians and fans, a real gamut-running selection, a who’s who of the last 20 years of music. Talk Talk do seem to have inspired a particularly passionate devotion in a lot of people. It’s not just the gorgeous, detailed arrangements and the loving care lavished on instrument sounds by engineer Phill Brown. It’s the vulnerability of Hollis’s voice, I think. An unusual voice – quavery, a little thin, a little forced-sounding, and consequently very human. His voice made more sense the more records the group made: by Spirit of Eden it was impossible to imagine any voice inhabiting those songs but Hollis’s. After Talk Talk released their final album, Hollis made one solo record (after a gap of seven years), and was then basically done. He wanted to concentrate on being a father and couldn’t do that as a working musician. What an admirable choice to make, and how admirable the resolution he showed in sticking to it. Hollis’s life in music was exemplary in many ways, and perhaps in that way most of all. *Spirit of Eden and Laughing Stock both made the top 40 of the albums chart in the UK, but the group had no hit singles with new material after Life’s What You Make It. So it’s not true to say that SoE and LS sunk without trace, which is an implication I’ve seen a lot over the last few days. This entry was posted in Music and tagged Colour of Spring, I Don't Believe You, In memoriam, It's My Life, Laughing Stock, Life's What You Make It, Mark Hollis, RIP, Spirit of Eden, Talk Talk, The Party's Over on February 27, 2019 by rossjpalmer.